Here is an article I wrote in the early 1990’s for the Port Townsend Leader. Read it and go outside. Plan now and soon you can plant bare root native trees and shrubs. One of my favorite sights in Jefferson County is the hedgerows of deciduous shrubs. Driving along the roads, I see thickets of oceanspray and snowberry and feel glad to live here. Hedgerows are distinctly rural; woody native plants that grew up along the margins of fields, escaping the tractor mowers because they root close to the fences. Over time the old barbed wire fences fall in disrepair. The mowed strip along the roadside also creates a habitat. The old pastures and woods give way as new houses are constructed. We bulldoze hedgerows to make way for lawns. The wild plants can be too vigorous for a tidy little garden, but they really have a charm that marks this as distinctly the Pacific Northwest. Look closer and the vegetation will tell if it’s of the rainforest or native to the rainshadow. Hedgerows are always changing with the seasons: Indian Plum and red flowering currant herald spring, followed by serviceberry and later roses. Midsummer calls forth the oceanspray’s frothy bloom while hummingbirds sip the orange honeysuckle. The golden hues of cascara and Scoulers Willows in autumn mix with the scarlet and orange hues of choke cherry and vine maple. 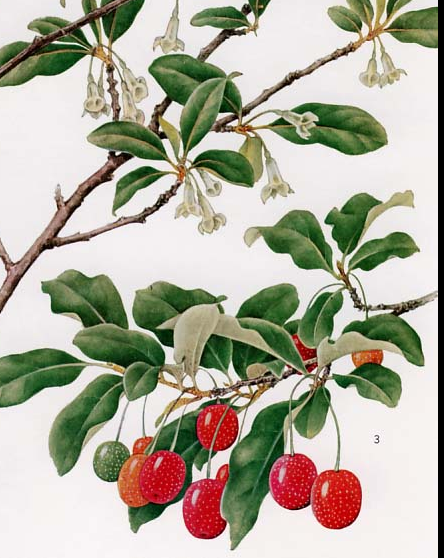 Snowberries; plump and white, and the shiny black fruit of twinberry feed the birds in winter, and the seasons go round. I want to establish hedgerows along the margins of my property. They make good windbreaks and privacy screens, and are natural birdfeeders. In two, maybe three years they are established; native plants take little effort to maintain – they hold their own against the invasive weeds and they survive on rainwater. What made me start thinking about this was the flyer I got in the mail from the Jefferson County Conservation District. Every year they sell bare-root seedlings. 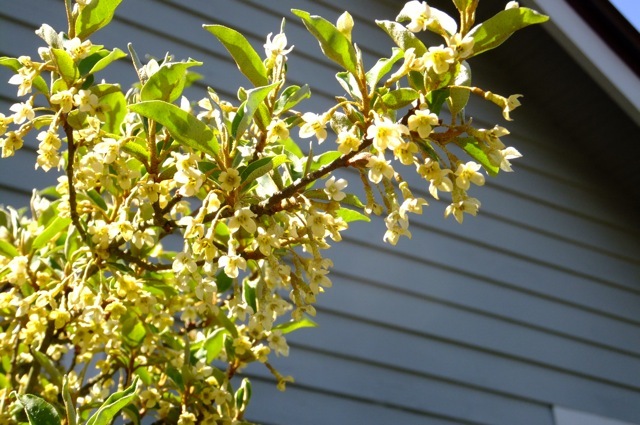 Native trees and shrubs are sold in bundles of ten for only $7.50. 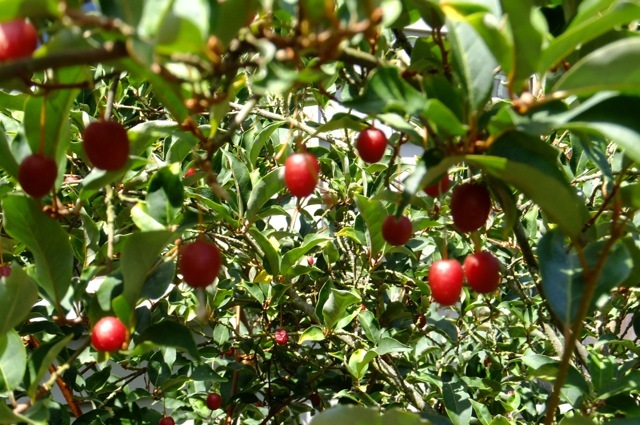 They offer plants for areas with low rainfall such as ocean spray and for wetter areas they offer cascara. Order the plants now; then go outside to take a critical look around and decide on your strategy. You have a month before they arrive. There are two basic ways to work with the bare-root seedlings; plant them in their permanent home or plant them all together so they are easier to tend. Restoration planting on a large scale relies on planting many and risking the odds that enough will survive on their own with little maintenance. Home landscaping on the other hand, implies fewer plants receiving more individual attention. Remember, these plants are only the size of a pencil when they arrive. What works best for me is planting the trees and shrubs in rows to create a nursery bed. Since they are all in one place, it is easier to weed and water them for a few years. I started my nursery about five years ago and each winter, when the shrubs are dormant, I dig some more and plant them around my property. Right now I have willows, serviceberry, and red twig dogwoods that need to be moved. When we get a warm spell in winter, I like to tackle some of the overgrown grass around my place and create new planting areas. I can work with the mattock rooting up clumps of grass and thistle, knowing that in a week the ground will still be dormant. That way I can take it slow and enjoy the process rather than feel overwhelmed and rushed by rapidly growing weeds. An even easier way to deal with the weeds or sod is to lay cardboard, old carpet, or plywood over the area. Cover this with a layer of hay, leaves, or brush as a mulch. This organic material will slowly decompose and can go into the compost or garden when you are ready to dig up the dead sod. A permaculture technique, that I have yet to try, is a no dig approach. Lay down cardboard, then place a thick layer of organic mulch -up to eight inches and leave it for a year. When the sod is dead spade right through to the ground and make a wedge for the bare-root plant. ” Grow Your Own Native Landscape” is an excellent guide to help you choose the right plants and learn their characteristics and growth requirements. It is available for $5.50 from W.S.U. Cooperative Extension. I called Al Latham at the Conservation District. Even though the deadline is passed, he said there is still time to order the seedlings. Call them at 385-4105. Enjoy creating your own wild thickets.